In a small bowl mix the balsamic vinegar with the sugar and set aside. In a saute pan heat the oil at medium heat and cook the garlic being sure not to burn them. 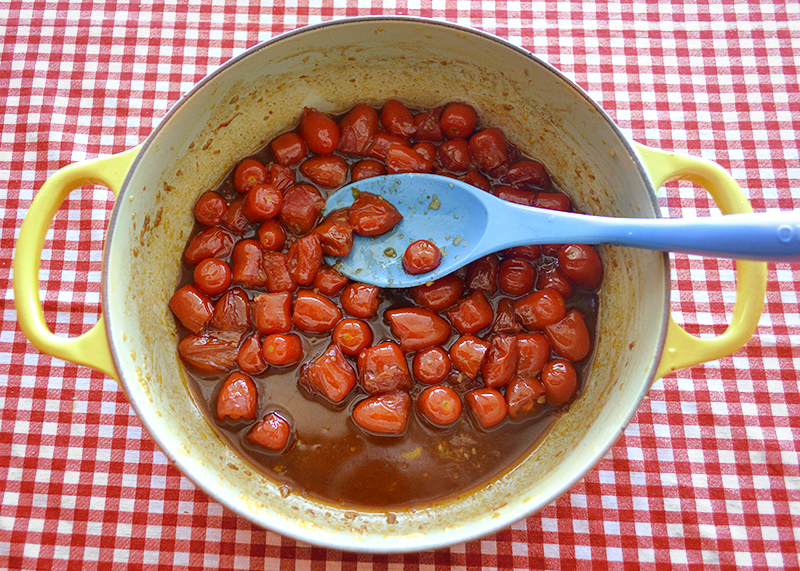 Add the tomatoes, cook for a few minutes and add the balsamic sugar mixture, stirring. Season with salt. Remove from the heat and add the basil. In a big pot, boil water, add salt, and cook the spaghetti al dente. Drain the pasta and toss with the sauce. 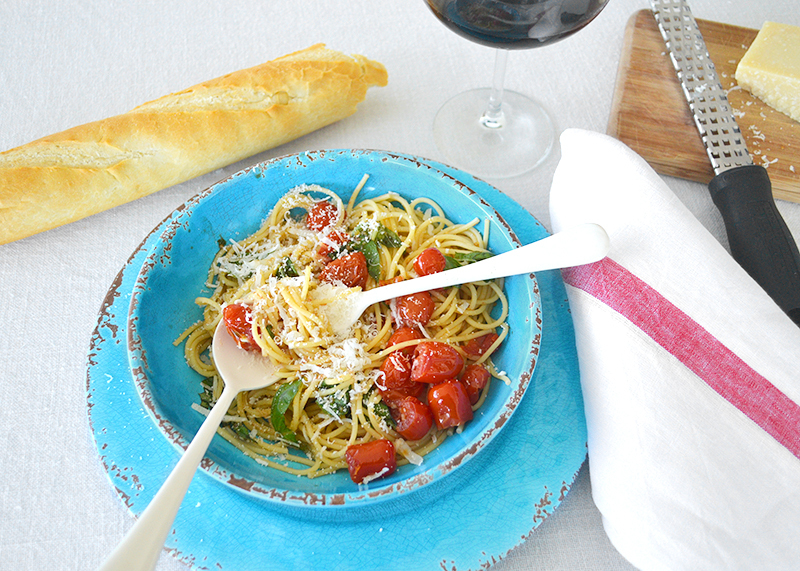 Serve immediately with grated parmesan cheese. 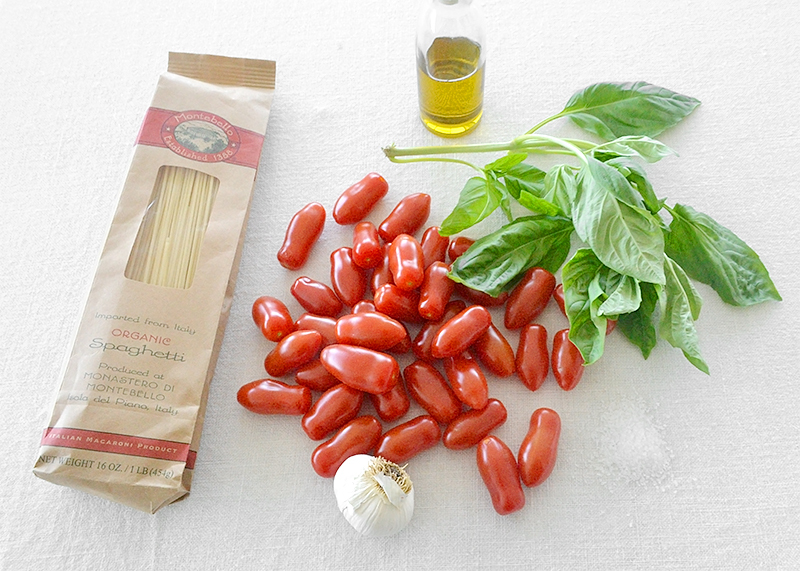 San Marzano pasta is a simple fruity and sweet dish for when you don’t have much time but want a home cooked meal. It’s fast and easy, not much prep and no tomato peeling or coring. Love it with a glass of red wine and a lot of cheese. Gracias Dinorah, un abrazo grande . Viva Lola con sus recetas de lujo! Un abrazo! These are the dishes that make us happy and sentimental all at the same time. Delicious.